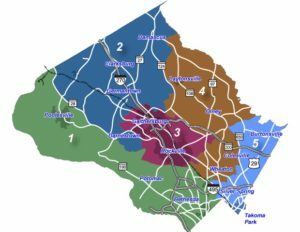 Montgomery County voters who live in council district 3 will elect a Councilmember from District 3 in the general election. The 2018 Gubernatorial general election is Nov. 6, with early voting available at 11 locations from Oct. 25-Nov. 1. Towns in District 3: Rockville, Gaithersburg, Aspen Hill, Leisure World, part of Norbeck and Washington Grove.